EASY-SWITCH: Ease of operation: intelligent multifunction switch ­element with integrated optical signals indicating the operational status. SSC – SMART shred control: That‘s fun – shredding without paper jams! The smiley has a capacity control function: If it shines green, everything is ok. If the smiley flashes, the shredder has reached its capacity limit. Blue Angel: For its highly efficient use of energy this shredder was awarded with the “Blue Angel”. 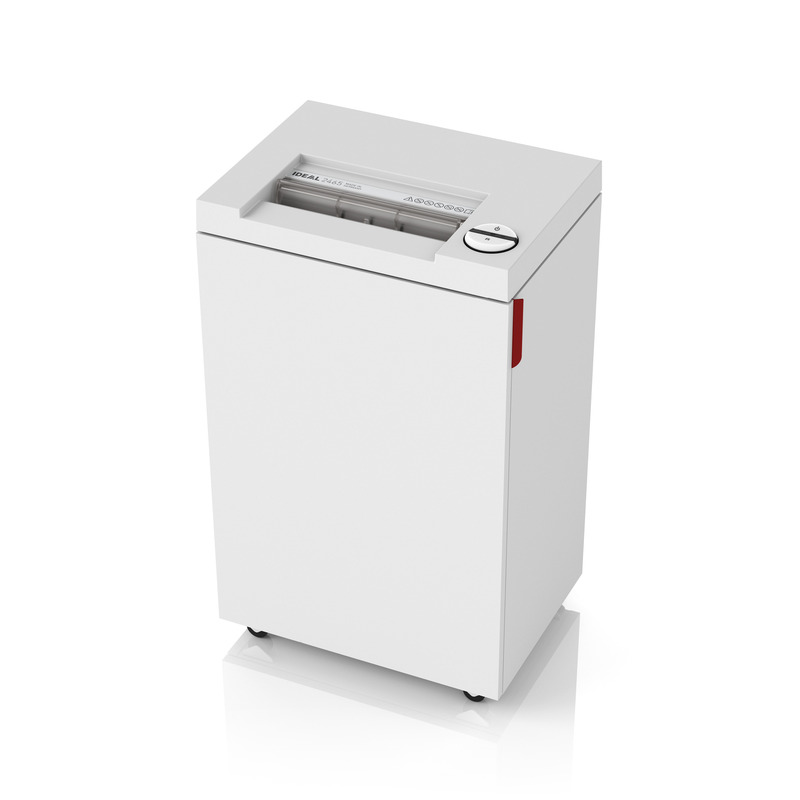 It is the energy saving function, “Zero Energy Consumption”, of these shredders that ensures automatic and complete power cut-off after 30 minutes in stand-by mode and thus zero energy consumption after 15 minutes in stand-by-mode.